You are here: Home / 9-12 / Welcome to Manic Monday at Classroom Freebies! Welcome to Manic Monday at Classroom Freebies! Welcome to Manic Monday at Classroom Freebies! Yay! 1. Each Monday I will have a post with a linky at the bottom for you to link your best freebie for all the world to see! It will be open for 1 day only each week. 2. Your freebie MUST be located in a blog post (no store link ups) and must be something that is free now and FOREVER with no strings attached (you may not ask people to follow you, like you, or anything else in order to grab the freebie). 3. You will need to place the button code below right in your blog post. Edit and then simply paste the button HTML code into the top or bottom of your post. 4. Come on back to the Monday post and link up with the specific blog post that has the button listed on it. 5. Please leave a comment at the blog posts of the 2 people who have linked up directly above you so that we share the Classroom Freebie love, meet some new friends in the process, and grab some fantastic freebies! Thanks so much for playing by the rules and supporting one another in true CF spirit! Your post will be seen by thousands of CF readers via email subscriptions and RSS readers, Facebook and Twitter fans, and Pinterest followers. Make it good! I can’t wait to see all the amazing freebies out there! A teacher, mom, wife. Featured in Scholastic Instructor Magazine, NEA, TeachHub, and Edutopia, Charity has over a half million fans and followers all over the world. A former K-6 gifted intervention specialist, she has built and managed over 20 educational related websites since 2011, and collaborated with high profile companies, such as eBay, ASCD, and Pinterest. 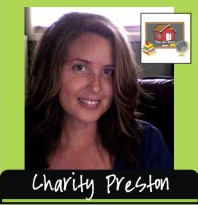 Charity is the CEO of PEN Group Online, Inc. where she has taught her classroom and teacherpreneur business development systems to thousands of fans and members. Thanks so much for hosting! Appreciate the bonus!! Thanks for hosting Manic mondays, Charity. I found so many great resources! So excited to hear it Wendy! Hi Elizabeth! You must make sure you are linking back to this post in your post or the sytem won't accept it as a valid link up. Elizabeth, I have the same problem. And I have the backlink on my page as directed! What kind of operating system are you using? I think I might've figured it out on my end. I have an older computer that still runs Windows XP and the one at school runs an OLD version of Vista. I tried all kinds of browsers on both of these computers, contacted Charity and the linky party company. Finally decided to try a newer computer running Windows 7. Worked like a gem. Yay! Glad to hear there is a fix! I am so happy!